Rules of volleyball include when you can and when you can't touch the net. Player alignment and the rotation the team must be in at contact of serve. When you can and when you can't double contact the ball is important to understand so you know how to practice for volleyball. The following are some important advantages to understanding the rules of the game. It is legal to double contact the ball on the teams first attempt to make the play in serve receive and the first play on defense. This means that during serve receive, a player can attempt to using finger setting action on the ball, double contact the ball with the fingers while directing the ball to the setter. Understanding this rule is important because in this situation, the players can practice using the fingers to direct the ball and not have to worry about the set being a clean set. Double contacts in this situation are legal. However, the ball still can't ever be caught or thrown. So the key here is to get the ball in and out of the hands FAST. If the ball goes fast, the player won't be contacting the ball for very long, so it's very unlikely the referee will whistle a violation for a held ball. The libero can hand set an attacker from beyond the attack line. Often the libero is afraid to hand set for fear of the referee calling an illegal attack by the attacker. As long as the libero feet are behind the attack line at the moment of the hand set contact, the attacker can attack the ball (assuming the ball is completely above the height of the net). The libero can legally hand set an attacker from anywhere on the court (provided the attack is made with part of the ball below the top of the net). Often the attacker is afraid to attack such a set, but the fact is, as long as part of the ball is below the top of the net (at ball contact) the attack is legal. The libero can jump and attack from anywhere on the court, provide at contact, part of the ball is below the top of the net. 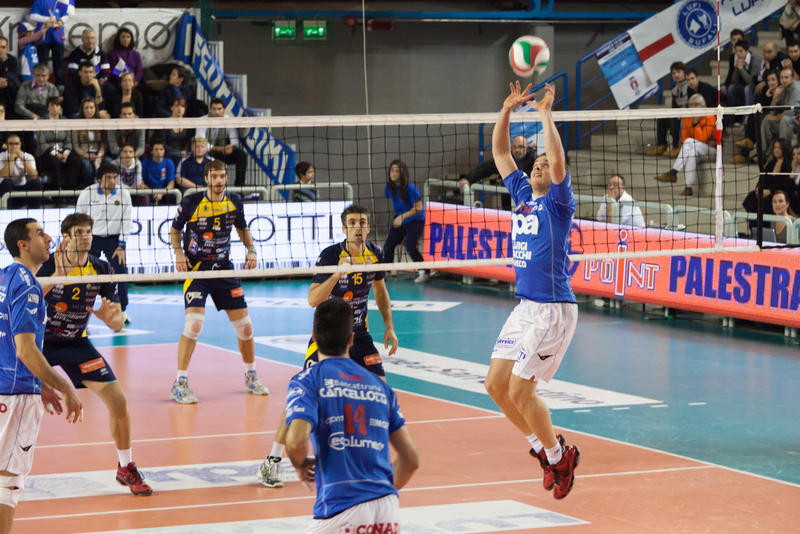 Often the libero is afraid to jump and attack the ball. If the libero is tall (for example, 5 feet 8 inches or taller female) then the libero should be concerned. However, if the libero is short (say a 5 feet 4 inch or shorter female) then being called for an illegal attack shouldn't be a concern. In fact, it doesn't matter where the libero jumps to attack... it's all about where the ball is in relation to the height of the net... not where on the court the libero jumps. It's important for the setter to know what they can and can't do from the back row. Back row players can't attack (if at moment on contact, the entire ball is above the net). This is true for all players, including the setter. However, the setter can attack from the front row. Also, even from the back row, the setter can attack when part of the ball is below the top of the net. So when on the back row, if the setter stays low, the setter can still send the ball over the net (to the middle of court (dump) or set quickly to a deep corner. And when the setter is on the front row, the setter should learn how to jump and hit the second ball attack.